The pregnancy was very much longed for by the pair who sadly suffered a miscarriage in 2014. But the road to parenthood hasn’t been easy for the couple as they were struck with fertility issues when Izzy was diagnosed with polycystic ovaries – resulting in them going down the path of IVF. Home and Away actress Emily Symons was spotted taking a walk in the Sydney sunshine last week. She and boyfriend Paul Jackson expect their first child in August. After going through various bouts of IVF the 45-year-old was ecstatic to discover she was pregnant. “I very much thought it couldn’t happen and I was too old. Although the former Emmerdale star did admit that going through the process can be hard. “It is very difficult when you are doing it because obviously there are only two results and only one of them is good. ‘It’s unbelievable to me the amount of igronant comments [that] come in. Rachel Zoe is pregnant! To all the haters, get informed! Go Google it…it has nothing to do with anything. There are thin girls with infertility issues, normal sized girls with infertility issues and overweight girls with infertility issues. Unless your doctor tells you your weight is affecting you in some way…once the doctor rules it out, that’s really not it. And while the couple haven’t given up hope that IVF will work, they have left themselves open to other options in the future if all else fails. GMTV weathergirl Clare Nasir appears in New magazine with her gorgeous baby daughter Sienna, 9 weeks, and talks about what a miracle her little girl is. She married husband Chris Hawkins in 2005 and the pair soon got started on trying for a family. But after numours disappointments and failed fertility treatment, the pair finally got what they wished for last year when Clare found out she was expecting. Sienna was born 7 weeks early on November 11th 2009 after a very difficult pregnancy. After spending five weeks in the special care baby unit at University College Hospital in London she was finally able to go home with her proud parents at Christmas. The identity of the dad is not known. Also due to her suffering from the condition, Padma has set up The Endometriosis Foundation Of America as a place to help and offer support to other women who are also in the same situation. Source: US Weekly, photo by Frazer Harrison/Getty Images. Most parents-to-be are excited about the new lives they’re about to bring in to the world, but none more so than Eastenders actress Jo Joyner and her husband Neil Madden, who, after trying for children for over 3 years, took the brave decision to undertake IVF — and on their first attempt were blessed with twins! Jo and Neil recently spoke about their emotional rollercoaster ride, the pregnancy and how they can’t wait to meet their babies at Christmas. Jason Durr and Wife Kate Introduce Their Fraternal Twins Felix Montgomery and Velvet Josephine In Hello! Former Heartbeat actor Jason Durr and wife Kate feature in this week’s edition of Hello! 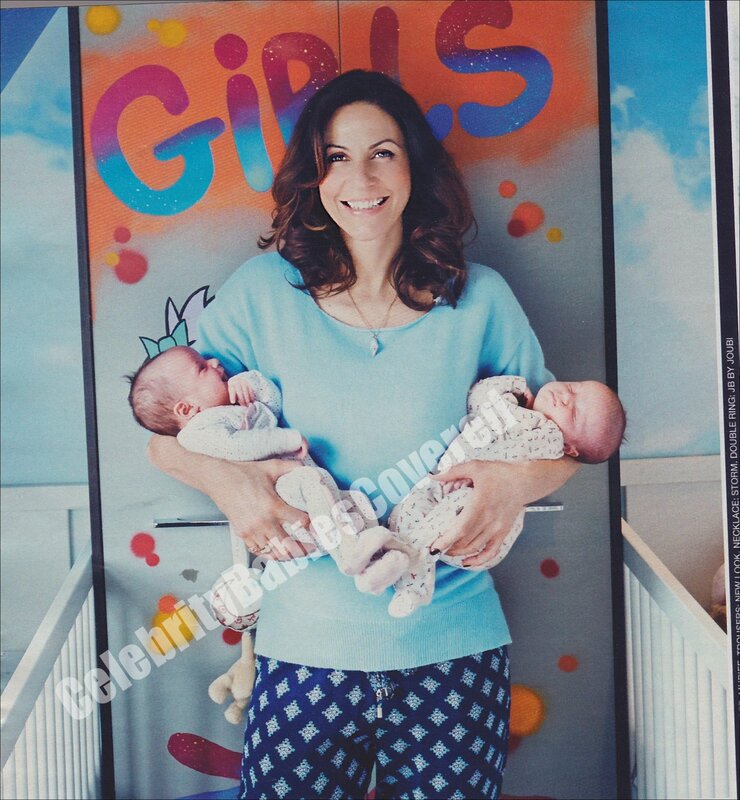 magazine and introduce their fraternal 6-week old twins Felix Montgomery and Velvet Josephine. Together they talk about their fertility struggles, and the journey they went on in order to give daughter Blossom, 5, a sibling.